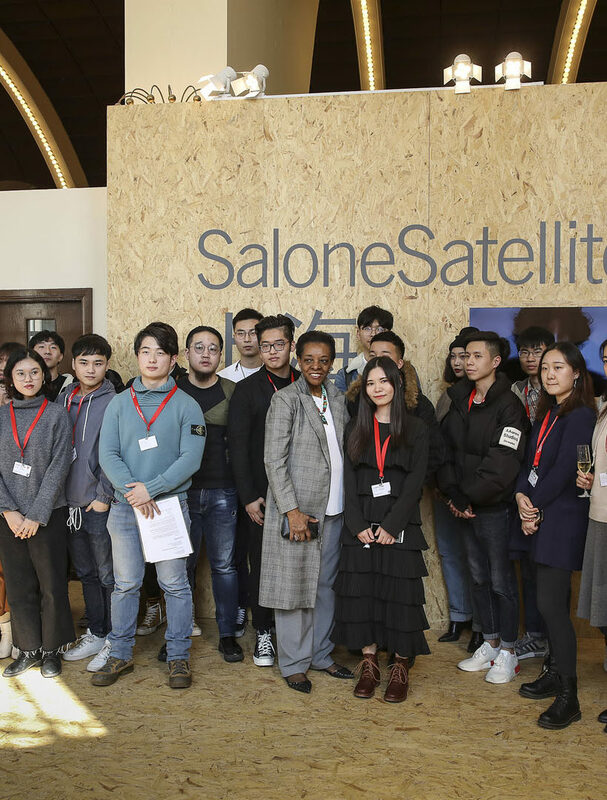 A launching pad for young creative talents, the SaloneSatellite returns to China for the third edition of Salone del Mobile.Milano Shanghai, selecting four young designers from different areas of China. 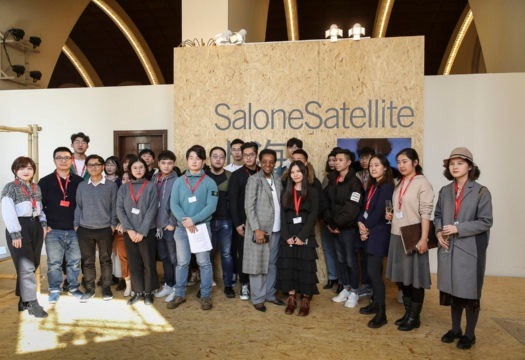 The selection committee formed by sector professionals – Livio Ballabio, creative director of Jumbo Group; Frank Chou, designer in Frank Chou Design Studio which took part in SaloneSatellite 2016; Michele De Lucchi, architect; Wang Gang, artistic director of Shanghai Hantang Culture Development; Aurelio Magistà, journalist, La Repubblica; Maria Porro, marketing manager, Porro; Nuno Soares, acting head of the Department of Architecture, University of Saint Joseph, Macau; Matteo Urbinati, design coordinator of Foscarini; Patrizia Malfatti, head of communication and press relations of Salone del Mobile.Milano; Marva Griffin Wilshire, founder and coordinator of SaloneSatellite – announced the winners from among the 39 young designer arriving from all over China, who will be invited to take part in the SaloneSatellite in Milan, held during the Salone del Mobile.Milano from 9 to 14 April 2019. 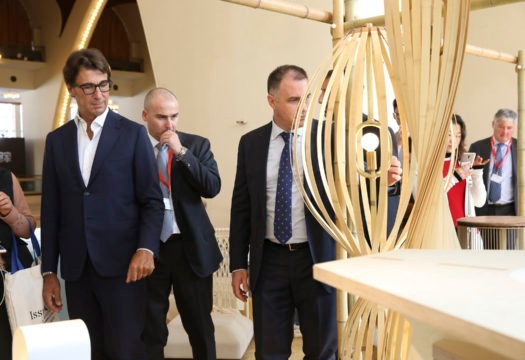 The first prize went to Huang Jing for Flapping Bamboo, a lamp that thanks to the elasticity of bamboo can be used on the table or the floor, with different levels of light intensity. 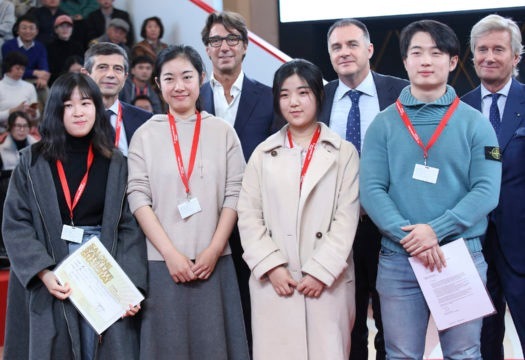 Second prize was assigned to Miaoyunzi Hu for Strings, a piece with a triple function as bedside unit, table or stool: thanks to the flexibility and rotation of the elastic bands, it can contain objects of various sizes. 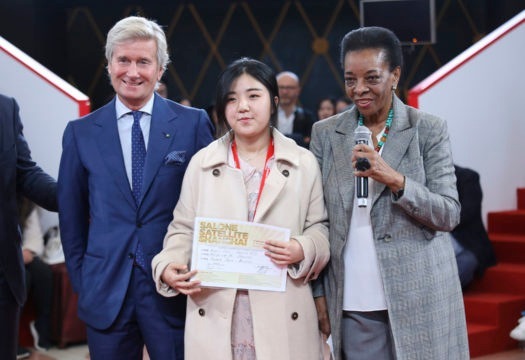 Third prize was for Ruixue Song with Lantern, a lamp based on bamboo birdcages, for two positions, like a portable lantern. 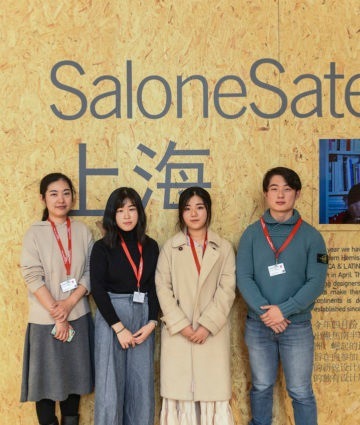 The Special mention went to Duan Bingdong for The Chair-18SS, a stool based on military style with a rigid skeleton and soft nylon parts to facilitate assembly and possible replacement.